Famous for the beautiful and bustling beaches of Bali, some areas of southern Indonesia are absolutely flooded with travelers. With many other islands to explore between Java and Flores, however, there are plenty of opportunities for a more peaceful vacation. Many tourists avoid southern Indonesia’s large cities in favor of its white beaches and deep forests; however, the cities reveal a lot about the country’s culture and history. Most of the region’s large cities are located on Java, the administrative center of Indonesia. 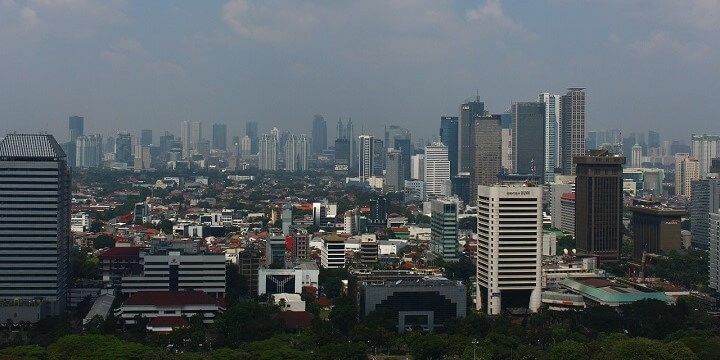 Visit the capital city of Jakarta for colonial buildings, museums, and galleries in the Old Town. Then, treat yourself to some luxury brands at Plaza Indonesia, or head to the city’s oldest department store, Sarinah. 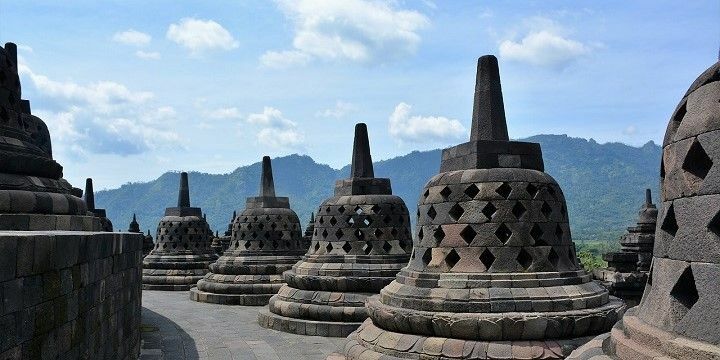 Java is also home to amazing cultural landmarks, such as the Borobudur Temple, a huge Buddhist temple with over 70 Buddha figures. The Borobudur Temple is located on the island of Java. Nearby, you’ll find Candi Prambanan Temple, a Hindu site dating back to the ninth century. To learn more about Indonesian culture, visit some of the South’s small villages. The island of Flores, for example, is home to Melo, where you can watch the traditional Caci Dance. Visit the small villages on the island of Flores. Sumba, meanwhile, is the perfect place to find pieces made from ikat (a type of fabric) and traditional houses in villages like Waingapu, Kampung Trung, and Kodi. From the popular, eight-kilometer-long Kuta to the quieter Sanur, there’s plenty to do on Bali’s beautiful beaches. 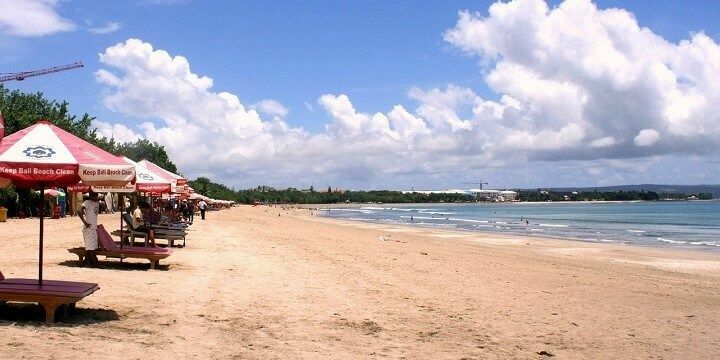 Bali features many beautiful beaches like Kuta and Sanur. On the region’s other islands, however, you’ll find more remote spots with stunning scenery. Lombok’s Tanjung Aan and Selong Belanak, for example, are surrounded by green, rolling hills. If you’re looking to discover Indonesia’s underwater world, it’s also worth checking out the incredible 17 Islands Marine National Park close to the island of Flores, where you can see a range of gorgeous marine wildlife in the bright turquoise water. 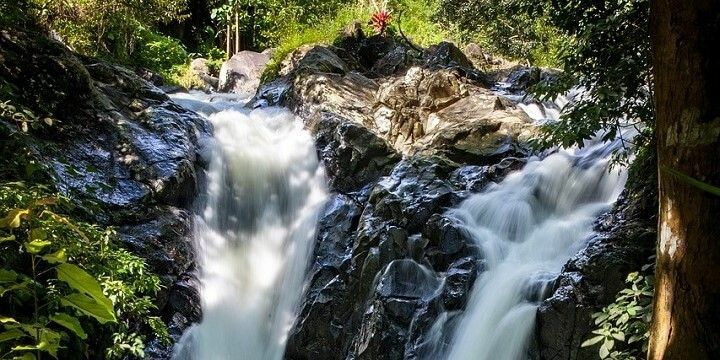 Bali is home to plenty of incredible waterfalls, such as Git-git, Tukad Cepung, and Sekumpul. The latter requires you to take a 40-minute hike to reach it, but it’s totally worth it for the extremely powerful flow of water and the rainbow that sometimes appears in the gush. You'll find many waterfalls on Bali. If you’re after shimmering lakes, be sure to visit Flores. Hike through the dense forest, passing peaceful hot springs, to reach the Sano Nggoang lake, which is up to 500 meters deep. 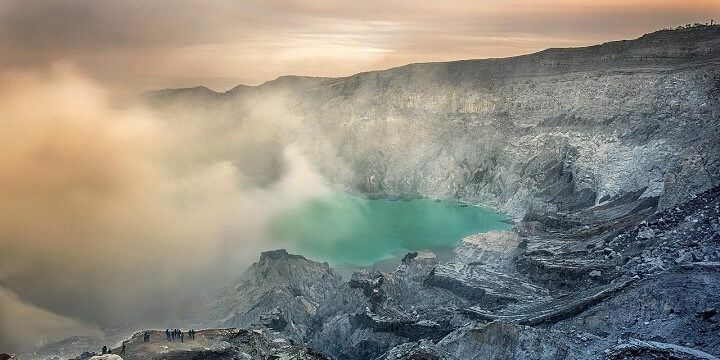 While in Java, take a trip to Mount Ijen. The challenging hike to the peak is worth it to see the largest acidic crater in the world! The hike to the peak of Mount Ijen is a challenge. Lombok, meanwhile, is home to the second-highest volcano in Indonesia. The hike to Mount Rinjani’s 3,726-meter-high peak will take two days, but you’ll enjoy gorgeous panoramic views along the way, and a stunning crater lake at the top. 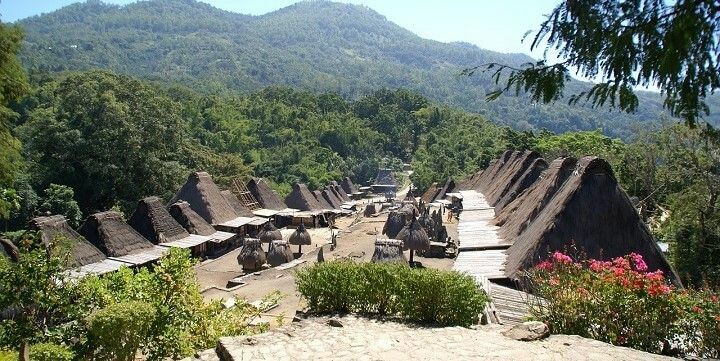 If you’re after scenic hillside villages, climb Sumbawa’s Gunung Tambora. Standing at just under 3,000 meters, this active volcano offers traditional villages like Pancasila, where you can learn about local life and try tasty traditional food. As the name suggests, the island of Komodo is home to a huge number of Komodo Dragons. 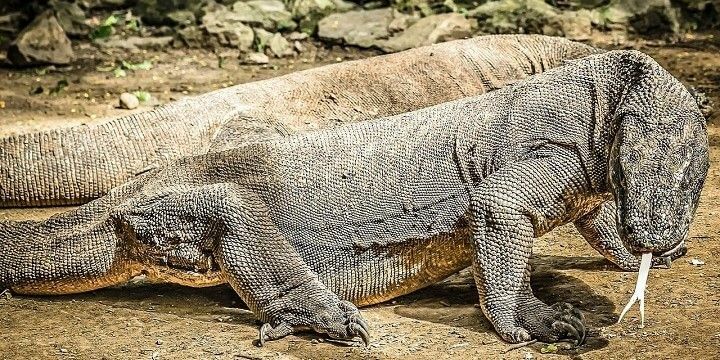 The best place to spot these wild creatures is in the Komodo Island National Park, but remember never to approach one in the wild, as they are extremely dangerous. The huge Komodo Dragons can be seen in the Komodo Island National Park. For more impressive wildlife, check out Laiwangi Wanggameti National Park on Sumba, where you’ll find indigenous flora and fauna, stunning waterfalls, and animals including pythons and the rare Sumba green pigeon. It is a country full of contraddictions but with a very rich heritage of traditional dances, food, history, temples and cultures.